This spacious 1980's built home has an air of elegance and was built by its owner, a renowned local builder. Its light, airy and modern kitchen overlooks a picturesque garden of flowers, vegetable patches and a variety of fruit trees. Alfresco living is great with a pergola offering shade to keep you cool on a hot summer's day. There are two separate lounges at either end of the house both of which are a good size. Each of the homes two modern bathrooms have been beautifully tiled. Outside there is a large double garage/workshop with internal access to a north facing hobbies/sewing room or office. 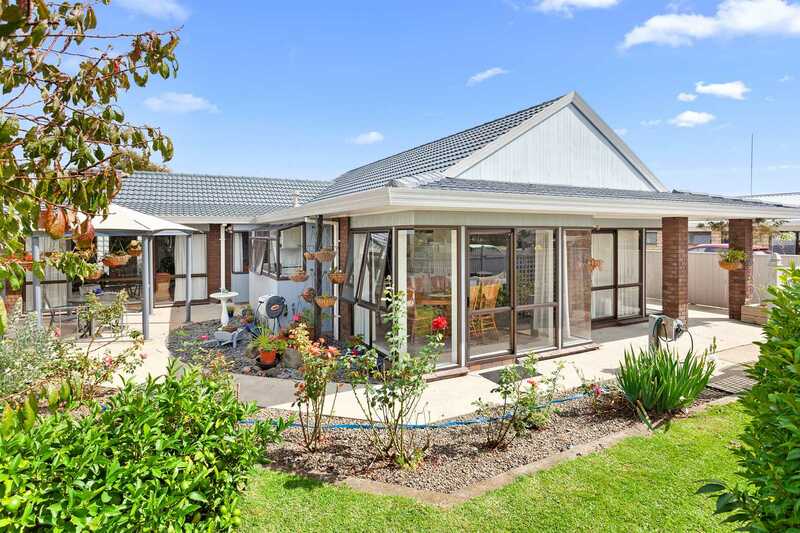 This property is being offered for sale by SET SALE DATE with all offers to be submitted by 4pm Wednesday 10 April 2019. If it's time to 'moove' into town and leave the farm behind, then this urban oasis could be just what you're looking for. Phone Deborah today to make your appointment to view.